Safety is always important. Collagen P.I.N. is inherently safer than dermal rollers, utilizing sterile single-use surgical grade disposable needle tips. The P.I.N. 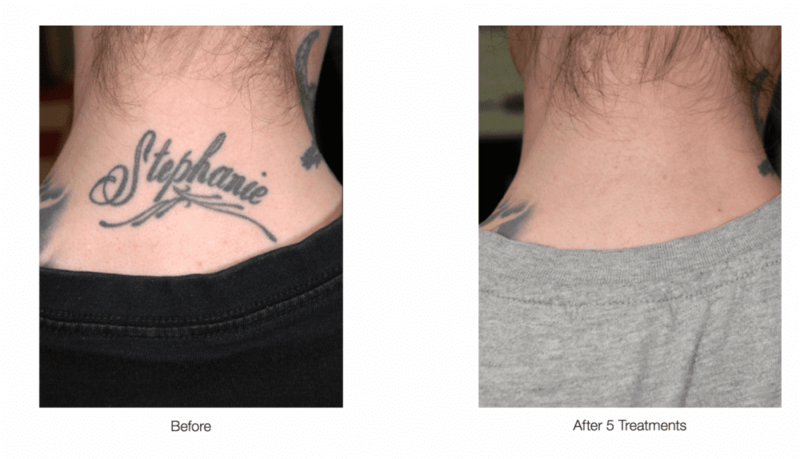 Safety Micro-needle Cartridge ensures that Collagen P.I.N. delivers greater efficiency and superior clinical results while maintaining the highest level of safety for both patient and provider. It is also safe for ALL skin types which means this procedure can benefit everyone!! Faster truly is Better!! Collagen P.I.N.’s powerful motor means quick penetration by the needles. This creates a more comfortable experience that patients describe as a vibrating tickle. Customizable Treatment for Each Patient. Each patient’s skin is different and has unique needs for its betterment. Because the needle depth is adjustable, this allows Collagen P.I.N. providers to customize your treatment to your individual needs. A topical serum is applied to clean skin (hyaluronic acid) this soothing product is chosen to help the Collagen P.I.N. Safety Micro-needle Cartridge glide smoothly across the skin’s surface while delivering the controlled mechanical injury necessary to bring about the necessary change, and simultaneously delivering Hyaluronic Acid (HA) – the building blocks for healthy new skin – deep into the skin. We will select the appropriate needle depth and number of passes required to properly treat your concerns based upon your individual skin health and skin regimen. As the Collagen P.I.N. Safety Micro-Needle Cartridge is gently glided across the skin, thousands of micro-channels are created every second. These tiny micro-channels stimulate your skins own natural ability to heal itself, there by creating new skin. This repair process, Collagen Induction Therapy, begins almost immediately. Fibroblasts – the cells that synthesize new collagen – are active for up to as much as one year after just one Collagen P.I.N. treatment. New collagen and elastin produce younger, healthier, plumper and firmer skin which aides in reducing the appearance of wrinkles, fine lines, acne scars and overall better tone and texture. What are the many benefits my skin can see from a Collagen P.I.N. treatment? Innovative and effective, Collagen P.I.N. activates cellular regeneration to help tighten and lift skin, while minimizing common skin problems such as acne scars, fine lines, photo-aging, dull skin, poor texture, stretch marks, body scars and even hair restoration. Automated Micro-Needling (also known as Percutaneous Collagen Induction Therapy or PCIT) is a new innovation in aesthetic medicine for the treatment of fine lines, acne scars and improvement of the skin’s overall appearance. During this procedure, tiny needles are used to create controlled micro-injuries to the skin in order to produce collagen and elastin. The skin’s repair process results in a thicker dermis with the appearance of softer wrinkles. Automated micro-needling also creates superficial micro-channels which allow topical serums, and creams to be absorbed more effectively into the skin. Collagen P.I.N. 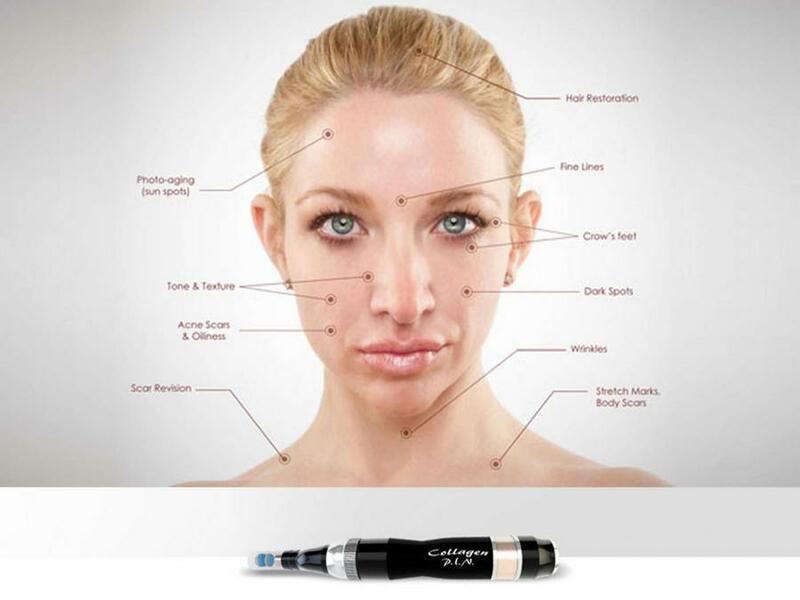 is the most advanced medical-grade automated micro-needling device on the market. Collagen P.I.N. can be used on all skin types to address a variety of concerns, most all areas of the body can be treated unless your medical provider determines otherwise.